Standing Out With an Exclamation Point! 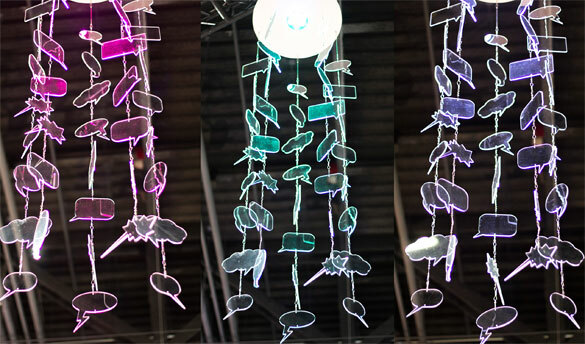 It’s not always easy to stand out on a trade show floor. 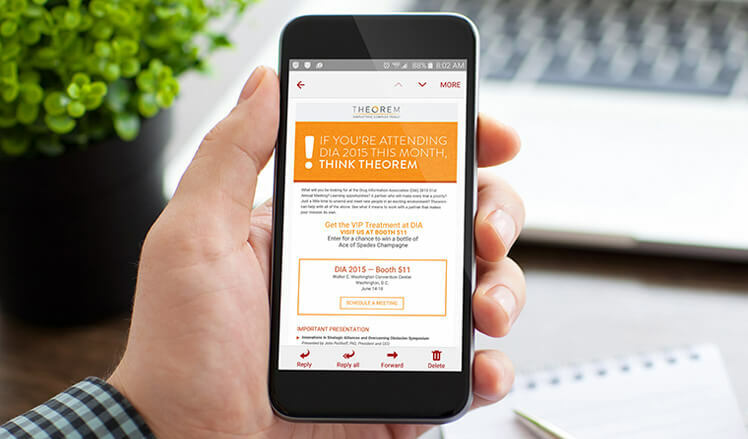 At the DIA Annual Meeting, Theorem wanted to target executives in a meaningful and memorable way by incorporating its “When Your Trial is Important, Think Theorem” Big Idea. 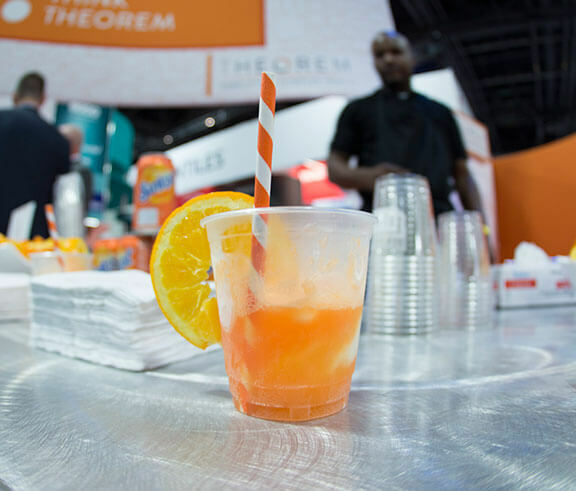 As Theorem’s marketing partner and end-to-end trade show resource, SCORR Marketing organized exhibit design and purchase, created on-floor promotions, giveaways and surveys, and developed pre-show as well as follow-up campaigns. 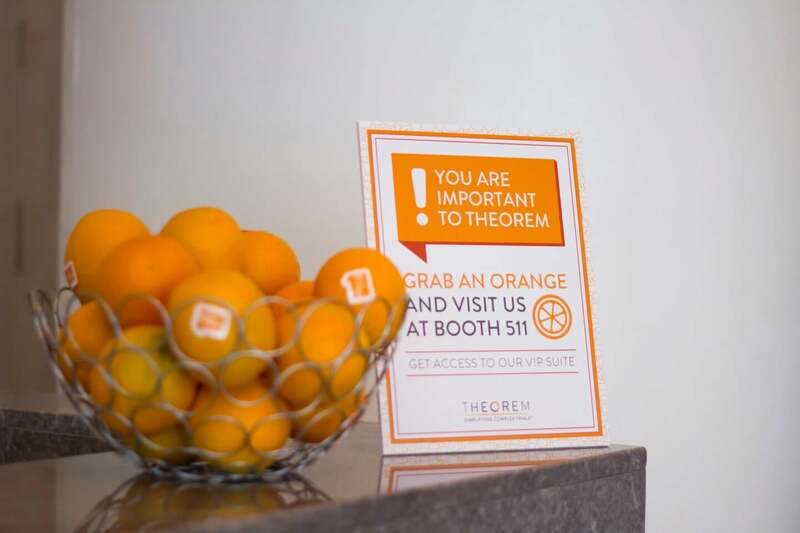 For the fourth year in a row, SCORR designed an award-winning booth design for Theorem, generating a long list of qualified leads interested in the opportunity that Theorem provided them. 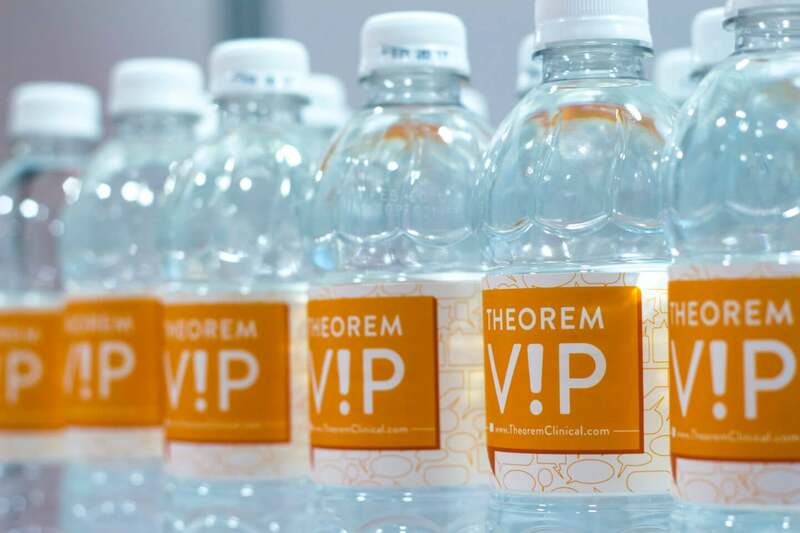 Because trade shows are costly and time-consuming investments, they require a detailed approach to research, planning and execution, which is why Theorem turned to SCORR to maximize its trade show investment. 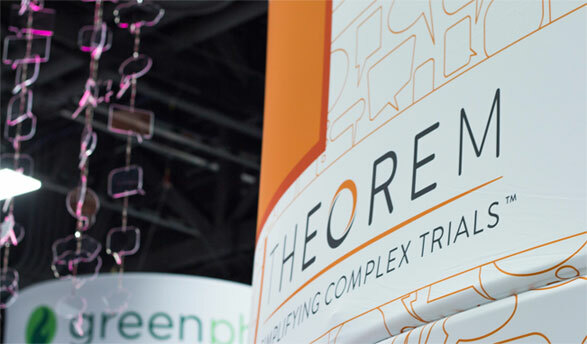 Not to be outdone by memorable and successful trade show campaigns from three previous award-winning years, Theorem’s booth at the 2015 DIA show featured a five-foot-tall statue of the exclamation point prevalent in its Big Idea. 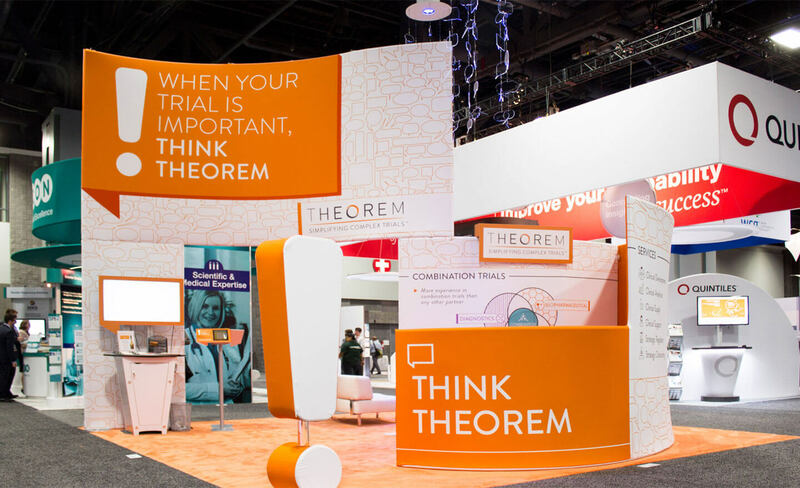 As Theorem’s full-service marketing partner, SCORR has won 16 awards for trade show booth design and promotions on behalf of Theorem. 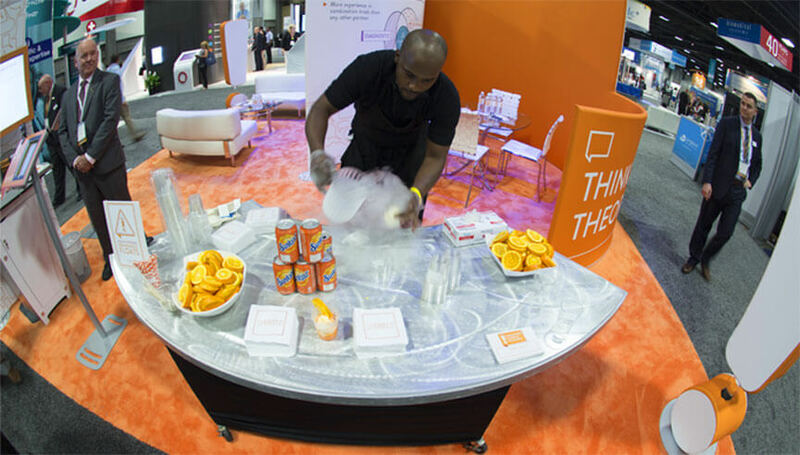 Within the booth, Theorem placed a liquid nitrogen freeze tank to make orangesicle floats for visitors. 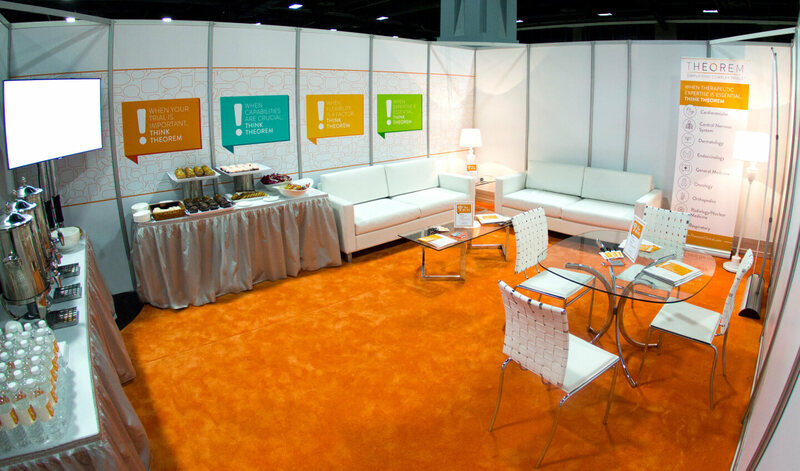 Friendly service and the unique refreshments kept leads in the booth longer; assorted orange swag was available for visitors to take home. 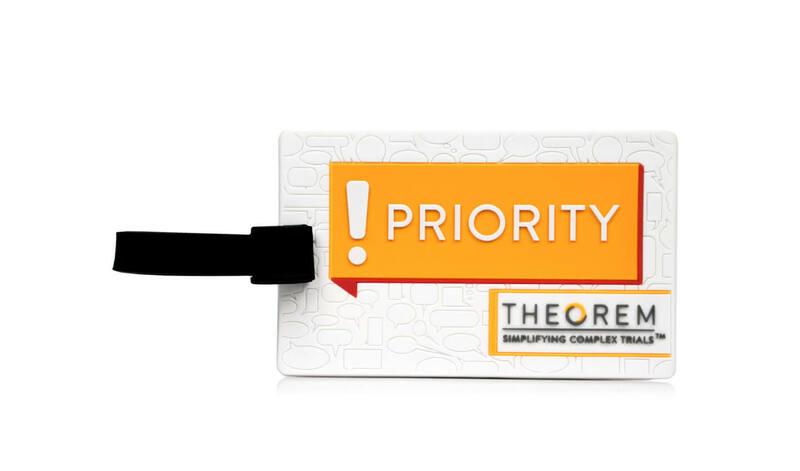 In keeping with the booth’s “V!P” theme and corresponding giveaways, SCORR created meeting areas for Theorem to hold one-on-one conversations with qualified leads. 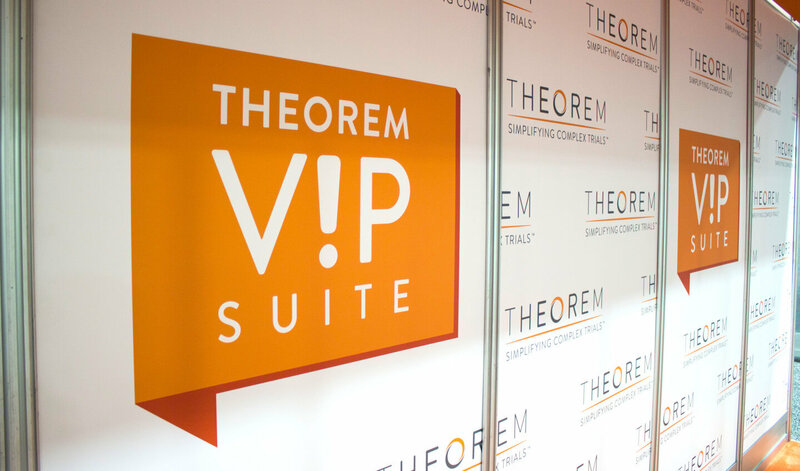 This VIP treatment offered a break from the hectic trade show floor atmosphere, while demonstrating Theorem’s dedication to hands-on support and client satisfaction. SCORR promoted the booth across its own social media and on Theorem’s channels, sending out a subsequent promotional email to industry leaders and relevant prospects. 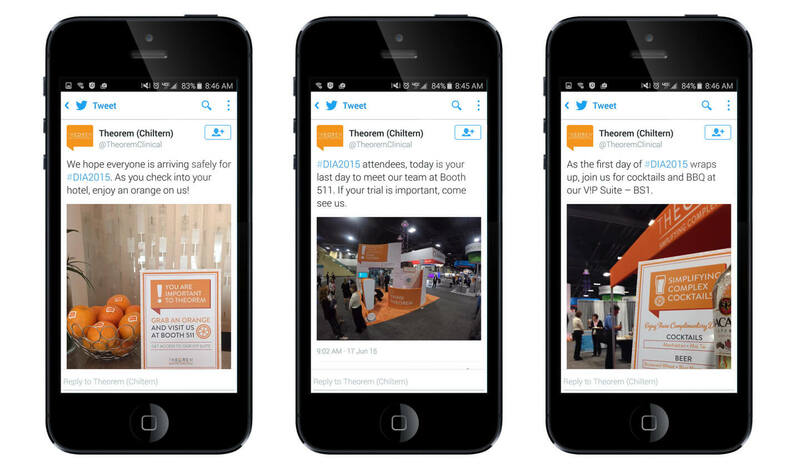 These promotions and social interactions increased awareness for the booth before visitors arrived at the trade show. 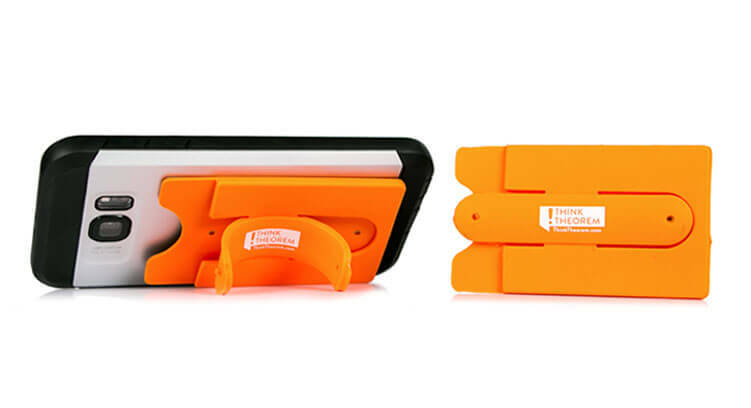 Share: Standing Out With an Exclamation Point!